Draycast Foundries provides an aluminium castings, aluminium bronze castings and gunmetal castings manufacturing service to numerous industries worldwide. The company is an independent business which has been established since 1964. Based in Chesham, UK the foundry utilises both sand & die casting processes to supply castings with class leading levels of service and quality. Holding a ISO9001:2015, Lloyd’s & Bureau Veritas Foundry Manufacturer approval demonstrates our commitment to upholding quality and service. Using the best modern and efficient methods allows us to be a highly competitive casting supplier. Value for money, on-time delivery, quality and reliability are the cornerstones of our business. We are able to offer a full range of services from pattern making through to surface finishing for the castings we supply. 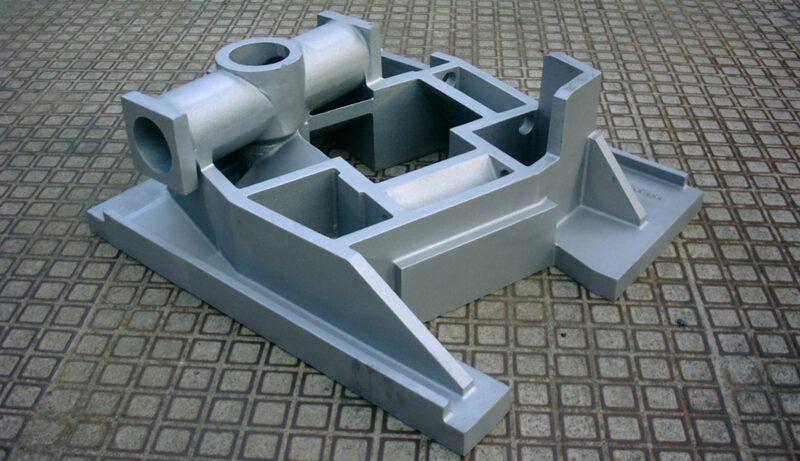 Fully machined castings are supplied to many of our customers whereas others prefer to machine themselves. We are trusted partner to many long standing customers who rely on us for their casting supply. Draycast specialises in supplying aluminium, aluminium bronze, gunmetal & brass castings for the fluid handling, high speed machinery and other high precision applications. Operating an ISO 9001:2015 foundry quality system to deliver a dependable casting service respected throughout industry. We are able to offer a full service from purely raw castings to fully finished items ready to be used on the line. If your company has an existing or future requirement for castings in aluminium, bronze or gunmetal please Contact us now and we will be pleased to advise on the full range of services we can offer. We cast in many commercial alloys including LM25, LM4, LM6, LG2, C95800, HTB1 but other aluminium and bronze alloys are available on request.